09/09/17 — The active search for 37 year-old Crystal McDowell is now over. A body has been found that is thought to be that of 37 year-old Crystal. 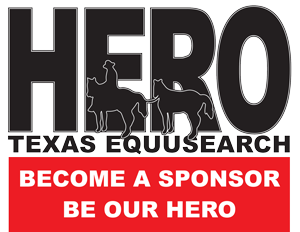 We want to thank the diligent and highly skilled professionals with the Chambers County Sheriff’s Office and the Texas Rangers, because they, along with the team of Texas EquuSearch made every committed effort possible to find Crystal. We ask that everyone please keep Crystal’s family, especially her little children in your thoughts and prayers during this most tragic and devastating time of their lives. 09/08/17 — The active search for 37 year-old Crystal McDowell will resume on Saturday, September 9th 2017 at 8:00 a.m. The search staging area will be at 6601 West Bay Rd., which is north of Hwy. 99 in Baytown, Texas 77523. We will be in need of searchers on foot and ATVs. Please dress appropriately for thick brush, a wet or muddy terrain and mosquitos. Wear snake boots if you have them. Your Search Coordinator is David White, and he can be reached at (281) 799-9586. 09/07/17 — The active search for 37 year-old Crystal McDowell will resume on Friday – September 8th 2017 at 8:00 a.m. The new search staging area will be at 6601 West Bay Rd., which is north of Hwy. 99 in Baytown, Texas 77523. We will be in need of searchers on foot and ATVs. Please dress appropriately for thick brush, a wet or muddy terrain and mosquitos. Wear snake boots if you have them. Your Search Coordinator is David White, and he can be reached at (281) 799-9586. 09/06/17 — The active search for 37 year-old Crystal McDowell will resume on Thursday – September 7th 2017 at 8:00 a.m. The search staging area will be at 5959 West Bay Rd., which is about ½ mile north of Hwy. 99 in Baytown, Texas 77523. We will be in need of searchers on foot and ATVs. Please dress appropriately for thick brush, a wet or muddy terrain and mosquitos. Wear snake boots if you have them. Your Search Coordinator is David White, and he can be reached at (281) 799-9586. 09/06/17 — COMMAND CENTER ADDRESS: The address of the Command Center for the Crystal McDowell search is 5959 West Bay Road, north of Highway 99. 09/06/17 — The Chambers County Sheriff’s Office has requested our immediate help on the search for Crystal McDowell. We will be in need of searchers on foot and ATVs. 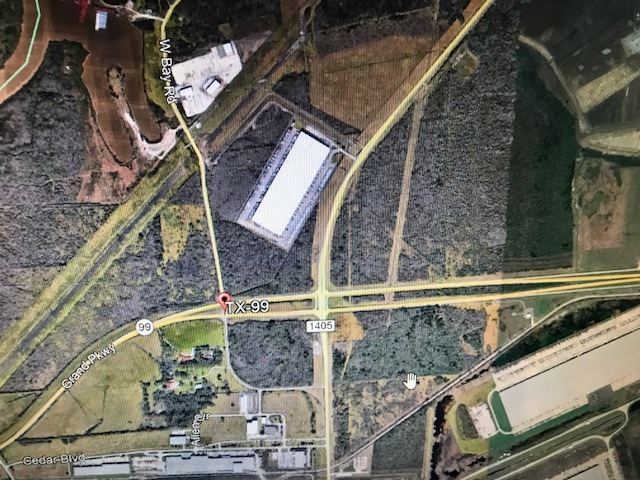 We will be meeting on West Bay Road and Highway 99, east of the Cedar Bayou Bridge on Highway 99. Your Search Coordinator is David White, and he can be reached at (281) 799-9586. 09/02/17 — The active search for 37 year-old Crystal McDowell has been suspended until further, credible information becomes available to law enforcement investigators. 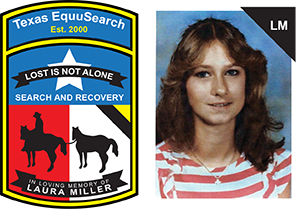 If law enforcement investigators request Texas EquuSearch to re-activate the search for Crystal, we will do so. Thank you to all of our searchers that came to search for Crystal. 09/02/17 — The active search for 37 year-old Crystal McDowell will begin on Saturday – September 2nd 2017 at 8:30 a.m. The search staging area will be at the Baytown Parks & Recreation maintenance facility, located at 1210 Park St. in Baytown, Texas 77520. We will be in need of foot searchers only. Please dress for some wet or muddy conditions, thick brush and possible mosquitos. Wear snake boots if you have them. Your search Coordinator is Jack Boggess, and he can be reached at (713) 826-3869. 8/29/17 — 37 year-old Crystal McDowell was alleged last seen in Baytown, Texas on August 25th 2017. Crystal was wearing pink to purple dress. Crystal is tanned, with long blonde hair. She has a birthmark in the lower, center-part of her back. If you have seen Crystal McDowell since her disappearance, if you know of her current whereabouts, or if you have any information whatsoever regarding Crystal’s disappearance; please call the Chambers County Sheriff’s Office at (409) 267-2500.